GV Vancouver – In response to recent federal legislation requiring Canadian schools to be recognized by provincial governments to be eligible to accommodate students with study permits, the Ministry of Advanced Education of British Columbia has invited schools to undergo its quality assurance mechanism of registration and accreditation. The government accreditation is intended to augment the industry’s self-regulatory accreditation operated by Languages Canada. The twin-pillar industry and government accreditation system will result in one of the most robust quality assurance mechanisms of its type to ensure quality delivery of the highest standard, and that students’ investments are very well protected. GV Vancouver embraces the provincial accreditation requirement. Quality and quality assurance have always been the hallmark of GV Vancouver since its inception over 25 years ago. Our Mission Statement is more true today than ever. GV Calgary - On our recent school trip to the Rockies, our students not only enjoyed the fantastic winter landscape, but celebrated their cultures on the bus trip to and from Calgary. Students from various countries such as Saudi Arabia, Italy, Japan and Spain and even our Events Coordinator, Mhairi, who is from New Zealand, all shared in singing songs from their countries. It may interest you to know that in 2014, students from 92 countries chose to study at GV Calgary. This was a record and just shows how our cultural diversity keeps growing. We are truly “Global Village”! Check out the new video to view the students having winter fun and celebrating their cultures. Also keep watching until the end of the five minute clip to see video of GV Calgary students before and after the Gondola ride at Sulphur Mountain in Banff, truly one of the most spectacular sights in the world in any season. GV Hawaii - One of the best experiences at GV Hawaii is to sign-up for one of the many school activities available to students. In particular, a neighbor island trip to Kauai, Maui and the Big Island of Hawaii. On Kauai, students kayak through the beautiful Wailua River, hike through the forest to a secret waterfall and enjoy Hawaii's natural beauty on the oldest main Hawaiian Island. While on the Big Island of Hawaii you are able to see one of the most active volcanoes in the world and watch native green sea turtles basking on a beautiful black sand beach in the Hawaiian sun. If you are more of a water person, then this time of the year in January, February and March it's best to travel to the Hawaiian Island of Maui where over 10,000 whales are known to pass through the islands annually on their way to their breeding grounds in Alaska. Experience the fun of learning at GV Hawaii and the beauty of the Hawaiian Islands. GV Toronto - On popular request, GV Toronto will now host students for trial lessons for General English, Business English, IELTS Preparation and Cambridge Preparation Programs. This will give prospective students the opportunity to experience the outstanding curriculum and teaching first hand so they can be confident they are making the right decision to choose GV quality. Simply email toronto@gvenglish.com or call +1-416-968-1405 to book a free trial lesson today! 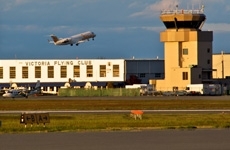 Victoria International Airport (YYJ) Wins Prestigious Awards Again! GV Victoria - If you fly YYJ, you're traveling through an internationally-recognized airport. The Airports Council International has ranked Victoria International Airport as the Best Airport in North America carrying up to 2 million passengers per year. The Airport Service Quality (ASQ) awards program measures more than 30 aspects of customer service including airport ambience, efficiency and courtesy of staff, security screening processes, overall cleanliness, and value for money in food and beverage and retail outlets. 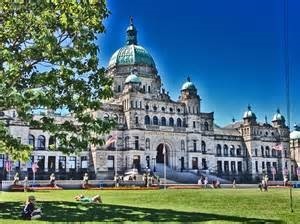 With frequent connections to Canada’s major gateways, 17 non-stop destinations in Canada, USA and Mexico, and several exciting new restaurants and retail outlets, flying to Victoria has never been better! Check this site when planning your trip.